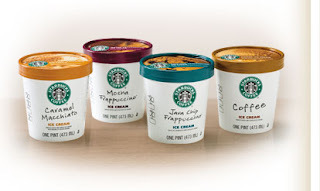 Centsible Savings: Free Starbuck's Icecream at Publix! I mentioned in this post that Starbuck's icecream should be either free or cheap this week at Publix. Well, turns out that if you got the $2.00 coupon in the 6/21 SS from this weekend it will be FREE at Publix. Or if you print the $1.50 coupon here it will be CHEAP. On sale BOGO for $3.79 - so buy 2 cartons for $3.79 - (2) $2.00 coupons = FREE + possible overage!